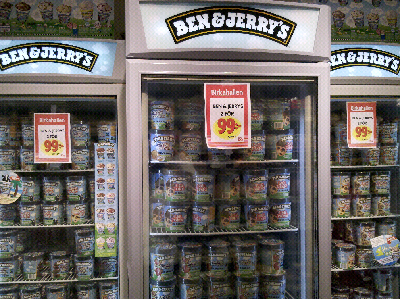 ...but I didn't realize until today that they have 3 Ben&Jerry's freezers and the store isn't even that big. When I looked up, I spotted 4 sales achievement plaques above the freezers. One of them was from 2008, so they must have been there a while, just hadn't noticed before.